Test your real world knowledge and TRI it! This super fast trivia game is unlike any you’ve played. Pick a Category. No questions, just topics. Always 3 right answers. Miss and you move on. Get all 3 and feel darn good. 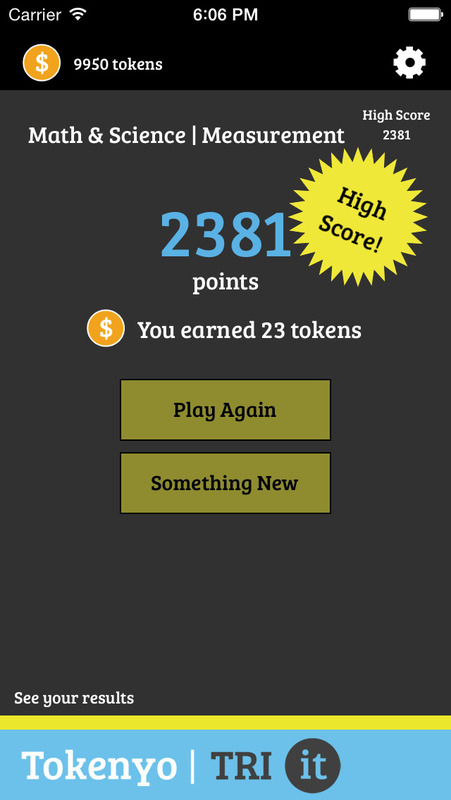 The faster you answer correctly, the more tokens you get. Go ahead and TRI it! You may surprise yourself (and your friends) with how much you actually know. This application is not affiliated in any way with any entity other than Tokenyo LLC.